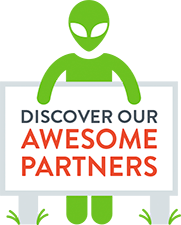 Most small and medium-sized businesses (SMBs) do not have the budget available to purchase, implement, and support advanced security solutions, and are often the target of attackers because they have minimal protections in place.  This problem for the SMB space opens up a significant opportunity for managed service providers (MSPs) to add advanced security services, beyond basic firewall and antivirus, to their portfolio of services. 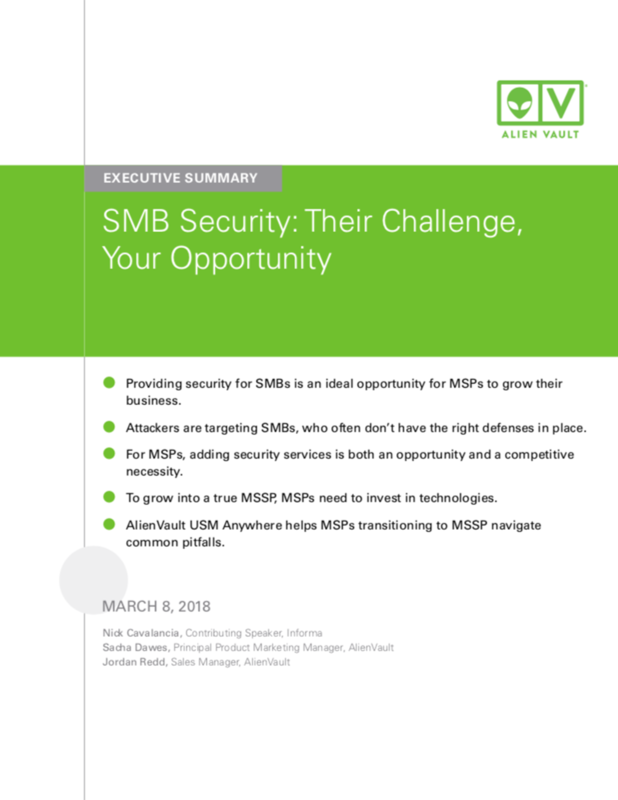 This executive summary discusses how adding security services enables MSPs to grow their business and highlights how AlienVault USM Anywhere can help MSPs as they transition to MSSPs. Download the executive summary now to learn how MSPs can grow their business by implementing security services.